You have an idea for a story but you are unsure of how to structure it, and keep it smoothly flowing – that’s where the Hero’s Journey comes in. There are no hard and fast rules for following the Hero’s Journey to structure your plot, but this is a great guide to set you on the right path. Many incredibly popular stories follow the Hero’s Journey such as Star Wars, Harry Potter, and even more recent stories like Ender’s Game. What is the Hero’s Journey? The Hero’s Journey was outlined by Joseph Campbell in his book “The Hero with a Thousand Faces”. This journey is a pattern most commonly found within old mythical stories and is still used today to tell a well rounded story. 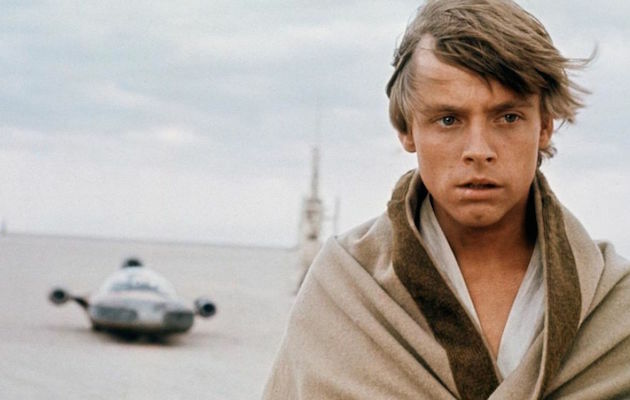 One of the most widely known Hero’s Journey plots can be seen in the Star Wars movies through Luke’s adventures. Campbell studies mythology and discovered a pattern between all the stories he was researching, this led him to outline the Hero’s Journey and all the common stages he uncovered. How can the Hero’s Journey help you write your story? Analyzing the stages of the Hero’s Journey allows you to explore the structure of your plot, character dimensions and the overall theme of your book. Even though many books have been written following this pattern but that doesn’t mean you can’t breath fresh air into the structure. The bones of your story is already laid out in front of you thanks to Campbell, all you need to do is focus on developing dynamic characters, and a unique theme. Everyone story must have a beginning, and in the Hero’s Journey your story begins in the characters known, and ordinary world. An ordinary world doesn’t mean it can’t be magical, or desolate, but it must be known and familiar to them. It’s not uncommon for the character to feel like a misfit, or out of place here. A challenge or quest has been put in front of the hero, and they are confronted with a change to their world. The Hero will be removed from his / her ordinary world, leaving all friends, family, and familiar places behind. They are given a taste of what to expect from the outside world. Maybe a piece of it enters their world, or they are told what to expect from someone who experienced it. Now our Hero must decide whether to initially refuse the quest, or to jump into action. Typically the Hero will refuse the quest because they are afraid, or they don’t want to leave their loved ones behind. In Star Wars, Luke refuses his quest until he discovers his Aunt and Uncle are dead. Eventually the Hero accepts the quest and the journey begins. Once the Hero has crossed the threshold and has entered the unknown world they are assaulted with the differences between the two worlds. There may be supernatural features to this world, frequents bouts of danger, and certainly different rules then they are used to. The Supernatural Aid can consist of a talisman, words of wisdom, or a magical force to help the Hero along their journey. This talisman will make the hero stronger, or more wise in order to face the challenges that lays before them. The light saber Luke receives comes to mind during this stage of the journey. The threshold can either be a physical threshold or it could be illusionary. Once the threshold has been crossed the Hero comes across a helper, a guardian of the threshold, and many trials that put roadblocks along their journey. The helper follows the Hero down their adventurous path, providing guidance and aid wherever possible. The guardian is often a wise older person, often seen as a wizard like the one seen in the Harry Potter series – Dumbledore was Harry Potter’s guardian. The Guardian has been down the same, or a similar path as the Hero and they provide their wisdoms and sometimes supernatural guidance to assist the Hero. During the Hero’s journey temptations will be encountered that will tempt the hero off the chosen path. These trials will create tension and conflict that lead towards the climax. This is another feature of the journey that could be literal or figurative. Tension is rising during this point in the story and the Hero will fully realize what is required of them to complete their task. The hero is transformed into a better / stronger version of themselves, they are able to complete their goal and are rewarded in the end for it. The reward can be an item of magical power, being reunited with a lost loved-one or any other sort of reward that the Hero desires. Now that the Hero has succeeded in their mission they will come to the realization that the world they once knew is no more. The Hero may have to come to terms with their actions before their journey began, during the journey or maybe the Hero needs to come to terms with being known as the hero in his / her world. The Hero has now returned home a changed person, and the world they thought they knew is no more. The Hero will need to find a new place in their old world now that they have completely changed after their long and difficult journey. I do follow the hero’s journey to a degree, and by that I mean, that the elements are generally present in my longer fiction, even if I use another name for them. Great post! @2019 The Mobile Author. All rights reserved.